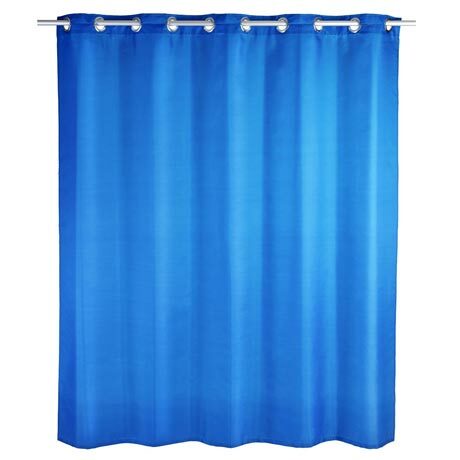 The Comfort flex plain blue 1800 x 2000mm shower curtain with a practical, integrated hanging mechanism. Enables a quick and uncomplicated hanging of the shower curtain. Made from highly durable polyester, this shower curtain is water repellent. It is easy to clean and washable at 30°C. With a practical, integrated hanging mechanism. Enables a quick and uncomplicated hanging of the shower curtain.